Apply four "inside reverse-folds" of the step #32. Prepare to round each petal so that it becomes concave-upward. Round each petal so that it becomes concave-upward. 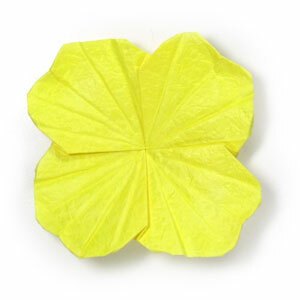 You have successfully completed making an origami primrose flower. 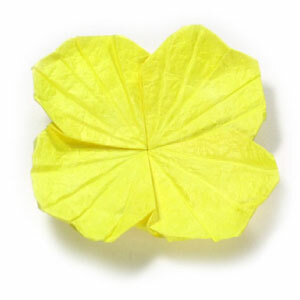 Now, you have completed making origami primrose flower.